D. Daxton White is a member of the Florida and Illinois Bar Associations. He graduated from Northwestern University in Evanston, Illinois with a degree in economics. He obtained his law degree from the Florida State College of Law in Tallahassee, Florida, and has also taken legal history courses at Oxford University in Oxford, England. In addition to practicing as an attorney, Mr. White has worked on the floor of the Chicago Mercantile Exchange in the Live Cattle Options Pit, and in the Boca Raton, Florida dispute resolution office of the NASD (n/k/a FINRA). His financial and legal background is essential in representing his business and corporate clients. Mr. White is an experienced litigator, having worked on over 300 court cases and arbitrations. He is married and resides in Vero Beach. He is the managing partner of The White Law Group and runs the Firm’s Vero Beach office. When not practicing law, Mr. White is an avid sports fan and outdoorsman, and can often be found trying to teach his young son to play every sport imaginable. 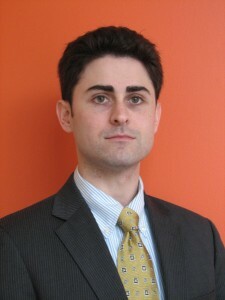 Michael D. Kennedy is an associate with The White Law Group where he practices in the area of securities arbitration. 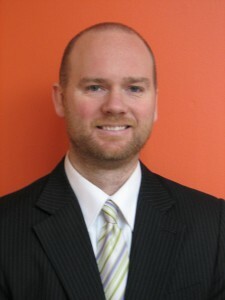 He is a member of the Illinois and Chicago Bar Associations. Mr. Kennedy graduated from DePaul University College of Law, where he also received his Certificate in Business Law. While at DePaul, he was a member of the Willem C. Vis (East) International Commercial Arbitration team where he worked on complex commercial disputes. As a member of the Vis, Mr. Kennedy prepared written arguments and presented them orally at arbitration hearings in Hong Kong. Mr. Kennedy was formerly a law clerk for Goldstein, Bender & Romanoff where he worked on personal injury disputes. During his clerkship with Goldstein, Bender & Romanoff, he drafted pleadings and discovery documents in preparation for litigation or arbitration on matters ranging from construction liability to piercing the corporate veil. Before beginning his legal career, Mr. Kennedy attended the University of South Carolina and then worked as a leasing agent in South Carolina and as a teacher in Japan. When not practicing law today, he is a fervent college sports fan.